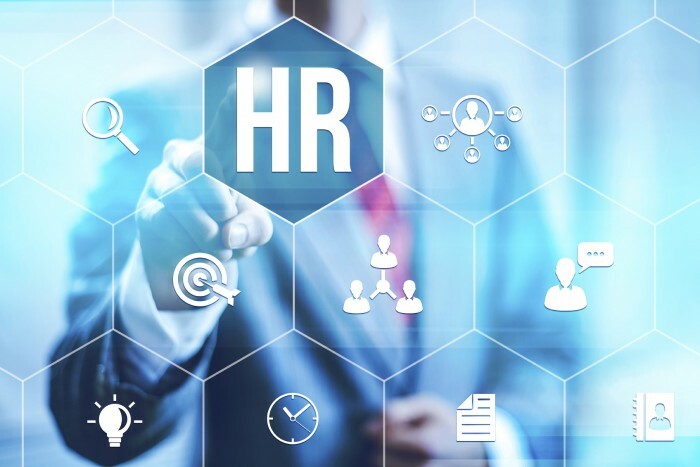 The HR Technology Conundrum: Is It Helping or Hurting Us In Doing Our Jobs? A common concern in the workplace is communication and how we utilize technology to facilitate it in a way that is useful to everyone. When I started in HR 10 years ago, it was fairly common to see drafted memorandums being sent within organizations to inform department and even specific people about important matters. We moved from memos to email for important and immediate messages and that has now taken precedence. Fast forward to 2015 and we have not only email, but we have instant messaging, social media, texts, communication apps and workforce platforms like, Podio, Yammer and even Evernote. With all of the various modes of communication that we have available, I find there is still confusion around when we should be using technology to enable efficient communication and when we simply need face-to-face contact. For instance, something like sending your team’s schedules would probably be best sent via email or communicated in person. Of late, I have heard multiple complaints by employees in a variety of industries that state they are texted their schedules and sometimes miss it depending on their Wi-Fi signal. I get most of my texts, but I have also missed plenty of texts as well due to kinks in service and the airwaves. It isn’t a perfect technology yet, so I remain perplexed as to why something as important as someone’s schedule would be sent this way. Another scenario that keeps cropping up is the text to let your manager know you will be absent. A phone call or even an email would suffice in a case like this. Texting that you will be absent is hardly a reliable or reasonable way of communicating that message. Email is both a business necessity and the bane of evil. We all receive way too many emails. Worse yet, we barely read the contents of the emails we receive because of competing demands and time constraints. If your email is longer than 2-3 small paragraphs, you may want to get up and have a conversation. Additionally, if your question or commentary contains confidential or sensitive material, you may also want to think about having a face-to-face conversation. Some of this is just common sense, yet the endless availability of technology for the purpose of communication colors our ability to make sensible judgments in how we use these resources. Social Media is a groundbreaking technology in the context of communication. Nevertheless, there isn’t a week that goes by where someone hasn’t abused the immediacy and permanence of Twitter’s 140 characters or Facebook’s never-ending text box with everything from random thoughts to bigoted rants. There have been several articles written and many PSA’s on how you use these platforms to communicate. Many people listen, but still others opt to communicate the wrong messages without regard for it’s immediate impact. In this discussion of ways that communication and technology are at odds, we can not forget the automated templates delivered to candidates during the recruitment and selection process. I will be transparent in saying I appreciate the templates that live in the average ATS. An ATS, allows a recruiter dealing with high volumes of candidates to get a tailored message out in a timely fashion. It is great for record-keeping since each is time-stamped and attached to candidate’s profiles. It gives the recruiter back their time and eliminates a ton of phone time traditionally allotted for corresponding with candidates. That said, you actually have to take the time to ensure the message is tailored. Some of you out there are just rolling this feature out with no effort and it is destroying your brand each time a candidate receives a template that hasn’t been configured. But, I digress. This automation doesn’t absolve recruiters from having any interaction with candidates, it just automates a portion of your process. To that point, there are many other instances in the hiring process and beyond where an automated message will not suffice and may even be seen as discourteous. When we talk about technology and how it helps us to communicate, we have to remember that in all things that help us there is a limit. I firmly believe that teams need to establish communication guidance so that everyone is aware of how they will be expected to communicate in a variety of situations. This is not a policy, but rather a standard operating procedure or living agreement for communication. In establishing this sort of guidance, I believe we can eliminate unnecessary email, texting for inappropriate reasons and overall misuse of technology when communicating.